i love love looove these earrings! even though i hardly ever wear my hair up, for these, i would. or at least i'd make an effort to spastically toss my hair around so that someone... at least someone would see it! they're smaller than most earrings im used to wearing, the last time i wore studs in my ears was probably when i got my ears pierced. ever since then, i've been stretching my earlobes to the max with huge dangly things... anything that would be able to compete for the spotlight against my thick hair! so anyways, i love these. perhaps first on my list of "next-to-purchase." or maybe i should concern myself with some less selfish items... like.. christmas presents?! its not far away, esp. at the rate that time is passing now! 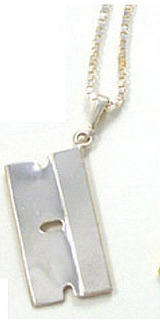 razor blade necklace. would prefer it to be hung horizontally though. and these are just super cool. 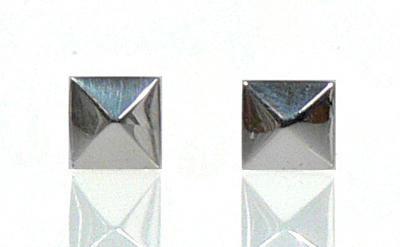 the concept behind these earrings is that you wear them over your ears, using the natural shape and structure to hold them in place, creating an illusion of wearing earrings without having to have pierced ears. but with an awesome looking design like that? 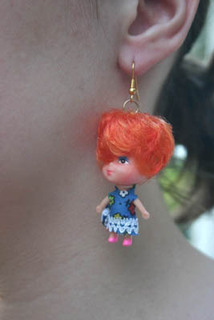 i'd wear them, pierced ears or not! i remember the model, anouck lepere used to have her own jewelry line based on that concept. it was so beautiful! dont know what happened to it though.. her website disappeared several years ago. 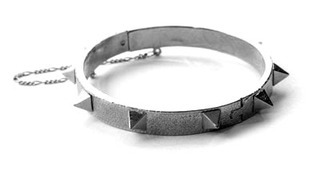 and... something for the super daring and funky! I love the razor blade chain..love, love it..
i love the earing at the top, they are just stunning. 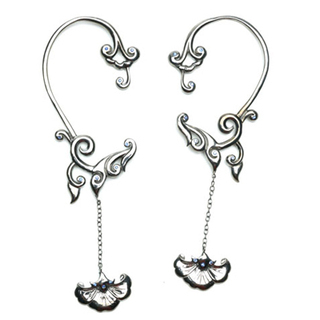 I adore the first pair of earrings, simply amazing!